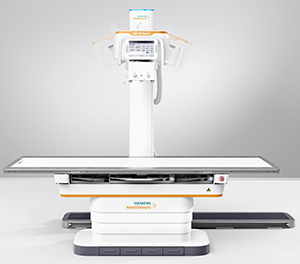 Two new modalities from Siemens Healthineers -- a 3 Tesla magnetic imaging scanner and a digital radiography system -- received 510(k) clearance from the U.S. Food and Drug Administration (FDA) in January. 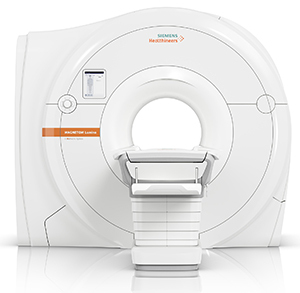 The MAGNETOM Lumina 3 Tesla (3T) MRI scanner combines high performance with a strong return on investment according to Siemens. It features BioMatrix patient personalization technology, designed to significantly improves productivity while ensuring consistent quality. The system has a wide, 70-cm bore and GO technologies powered by artificial intelligence (AI), which accelerate the entire MRI workflow. A whole spine exam can be performed up to 20% faster compared to a conventional system. Siemens states that Tim 4G and Dot (Day Optimizing Throughput) engines support standardized, highly reproducible scan procedures. To further facilitate workflow efficiency, the system features an optional dockable table. Additionally, new Turbo Suite acceleration packages can further reduce scan time on routine musculoskeletal (MSK) examinations of various parts of the body by up to 50 percent. The MAGNETOM Lumina 3 Tesla MRI has lightweight and flexible coils, and new speed applications that enable rapid patient throughput. It will also offer the still-in-development optional Innovision in-bore infotainment system, which is designed to move with the scanner table to not only create the illusion of an enlarged bore, but also to provide a unique video experience with excellent sound quality. The Multix Impact is a floor-mounted digital radiography (DR) system with a free-floating, flat tabletop for easy patient access. A touch user interface on the X-ray tube allows the technologist to remain at the patient’s side for longer periods of time, and when in the control room, the technologist can use the patient positioning camera to continuously monitor the patient. This feature may help reduce the need for repeat imaging. The system also has an intuitive user interface with graphical program selection as well as a patient positioning guide on the in-room touchscreen and control room workstation. Motorization and tracking features help to reduce the physical exertion of staff members. FDA clears two new modalities from Siemens. Appl Radiol.